PACLOCK’s unique Your Logo, Your Locks™ program allows anyone to become a “manufacturer” of their own branded padlocks in their own packaging. Our high-powered precision laser permanently etches your logo or info into the solid lock body. Our 100-ton hydraulic press permanently hard stamps your logo into the solid lock body. Our marketing team will custom design packaging with your logos, color scheme, and info. We do have the ability to produce custom-made keys with your company’s name on them. 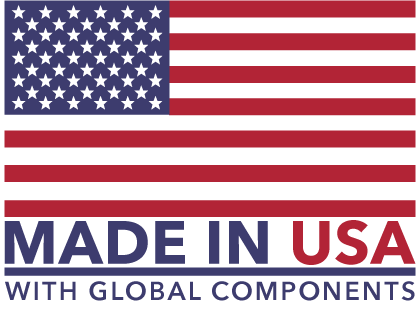 All of our Your Logo, Your Lock™ padlocks offered are Made in the USA (with global components) and represent the best quality on the market today. This will allow you to market your lock with the Made in the USA (with global components) logo right on your packaging. Unlike other manufacturers we don’t put our logo on your custom branded locks, giving you more options where to laser engrave or hard stamp. Laser engraved locks have a small "PACLOCK USA" hard stamp on the side of the rectangular bodies and back of the hockey puck-style bodies. Hard stamped locks are truly "white label" and have no PACLOCK branding. Call us at 661-294-3707 or Fill out the form below.